If you are in the market for a team of professionals to work with to take care of your Washington DC Shutter Company services, you have certainly come to the right place. Here at our Washington DC Shutter Company, the name says it all. Except, we are more about creating creative design solutions than simply selling window treatments. Since our inception, we have been the company name that locals rely on as their number one resource for superior quality window coverings, including the best in craftsmanship, customer service and pricing. Owner and CEO, Don Glass, brings with him well over three decades of industry related experience. This is part of what enables us to provide you with the finest results that you could hope for. The bottom line is that we want to be able to provide you with results that you can live with, and love, for years to come, including brand name products that we manage to provide to you at more than affordable prices. 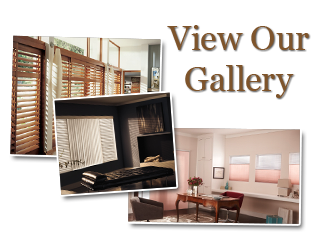 Shutter Company in Washington D.C.
Our goal is to be able to educate each client on the styles available and make sure that you love the look you end up choosing. We accomplish this in part by bringing the shopping experience to you; we enable you to shop at home by delivering the showroom to you. This also helps make it easier for you to envision how your choices will actually look in your home. Shopping for window treatments doesn’t have to be a daunting experience, even for those homeowners who don’t have any idea what type of window covering they may want. By working with our team of experts, you can get the advice you need in order to make the best choices possible. Our goal is to make sure that you don’t settle for anything less than what you really want for your home, so don’t take chances by working with anyone less professional. If you are ready to get started with your window treatment shopping experience, give us a call right now. It all begins with your free consultation and ends with you loving the way your window coverings look from both inside and outside of your home. For the best in products and service in the Washington DC Shutter Company industry, the only name that you need to know is Shade & Shutter Sales. Let us show you what a difference it makes to get the finest in superior quality when it comes to workmanship and customer service. If you are looking for a Washington DC Shutter Company then please call (703) 651-0358 or complete our online request form.